Self Cleaning litter box! Easy hook up to washing machine outlet. 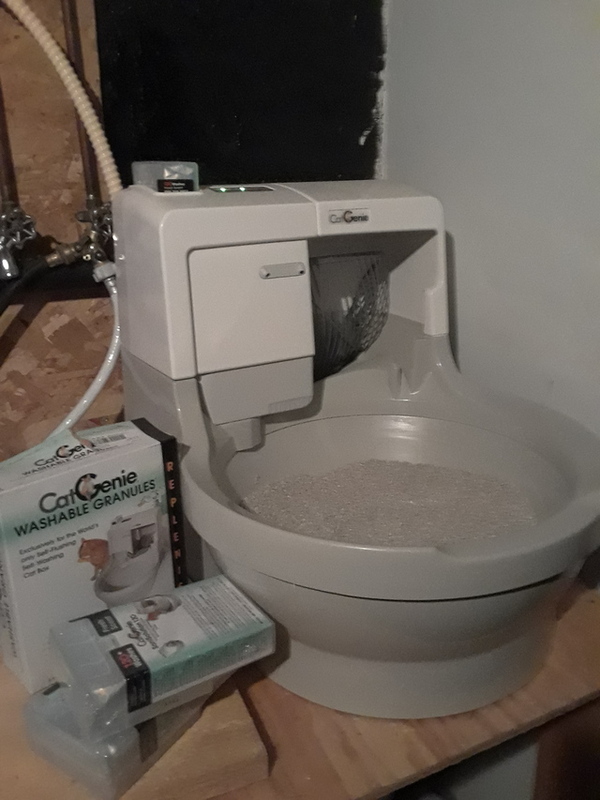 Almost new and comes with extra cleaning solution and reusable litter beads. Valve of $300. I am moving to a place where I can no longer use this wonderful appliance.